The night of the 1987 Academy Awards should have been one of the happiest moments in actress Marlee Matlin’s life. On her arm that night was her co-star, William Hurt. 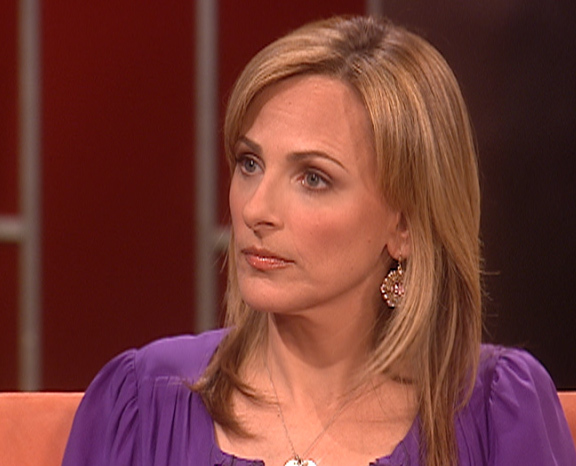 And in her new book, “I’ll Scream Later,” Matlin chronicles what she claims happened with Hurt that night and the alleged abuse she suffered at the hands of the actor. To Watch Nancy’s Interview With Marlee, CLICK HERE. The stars first met while filming “Children of a Lesser God” and their chemistry was electric – onscreen and off. The two shared a passionate relationship. However, at times, Matlin claims it turned dangerous. “How bad was the abuse?” Nancy asked. “Did you ever thing about filing charges against him?” Nancy asked. “No, not at the time. I was so wrapped up in his world and my drugs. The drugs took over my life, took over my brain. I was 19 and I was alone in New York City. I had no friends there except my drug dealer,” Matlin explained. At the time, Matlin admits she was addicted to cocaine and pot, while Hurt was an alcoholic, but later sought treatment through Alcoholics Anonymous. Matlin said the last time she saw Hurt was three years ago. “Did you discuss with him that you were going to be putting this in the book? Does he know it’s coming out?” Nancy inquired. “I did not. I had no contact with him. Really, I had nothing to say to him. He knows what happened, I know what happened. We both were there,” Matlin said. On Tuesday, Hurt released a statment to Access.